Yes, you can create your own custom area rug! Several carpet mills offer custom rug programs that allow you to choose from a selection of their broadloom carpets and turn it in to a custom area rug. This is not something you'll see in a big box store or mass merchant - chances are you have to go to an independent carpet and flooring store to take advantage of these programs. Once there, you will find a knowledgeable sales staff that can help you decide on the carpet, pattern, size and style to fit your beautiful home. Most have a fairly wide selection of styles to choose from and offer guidance in terms of shapes and sizes to help get you started, although true customized sizing is often available. In most cases, rugs are cut from existing carpet (broadloom) offerings with special edge treatments around the rug in a variety of sizes and shapes. Binding is literally sewing an edge around the rug and is most commonly either fabric or leather. Serging involves an edge that is an extension of the yarn already in the carpet – sort of like what most carpet samples look like. 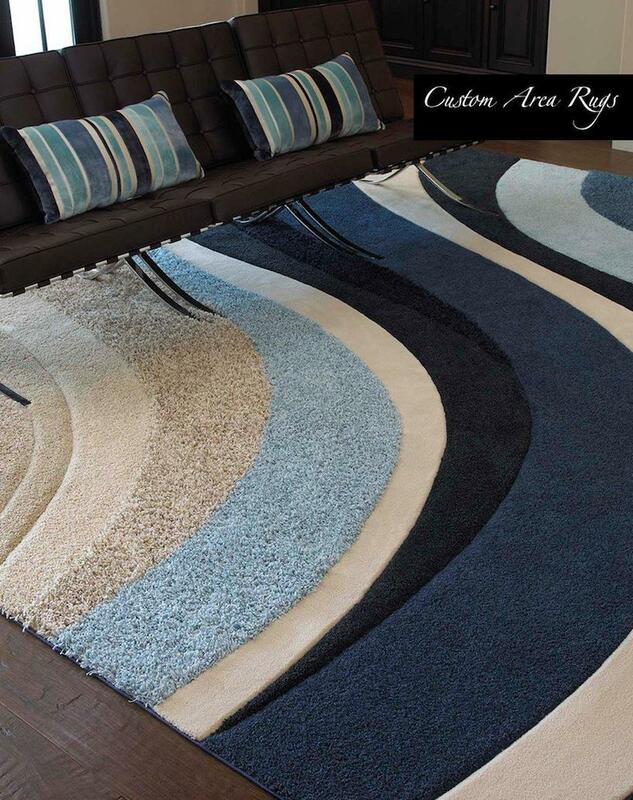 A select few rug manufacturers offer true customized design services and will create any rug from a design you submit. They typically offer advice and design guidance, but these services are expensive. But if it’s a one-of-a-kind piece you want, this may be exactly what you’re looking for. Anderson Tuftex offers custom area rug up to 24 x 36 feet in a variety of rectangles, squares, rounds and ovals, as well as floor and stair runners. Also offered are a wide range of edge treatments. Couristan has had a custom area rug program for several years now and offers fabricated rugs from its broadloom collection. Lexmark offers its Unite Custom Rug Program from three of its broadloom pattern collections in the Lexmark Living program. Masland’s program, Custom Area Carpets and Rugs, has options that can make any size or shape rug from its broadloom offerings. High-end rug supplier, Karastan, offers its Inspired Luxury program that lets users create their own looks from a select group of carpet styles in more than 100 color options and custom rug bindings. Mohawk Flooring's A Cut Above program offers a wide selection of other area rugs under the Mohawk Home brand as well as American Rugs. Momeni Rugs also offers a custom program. Nance Industries is one of those companies that offers truly customized rugs by working with its custom-rug artists to create any design, style or pattern you choose. Nourison's Fifty to Infinity is a custom-rug program that promises fast turnaround times in squares, round, rectangles, octagons and runners, accent size and over-sized rugs. Phenix Flooring is now offering custom rugs from its Cleaner Home collection of carpet that includes anti-microbial and odor-neutralizing treatments plus built in stain resistance. Stanton Carpet offers a “Create A Rug” page on its website that allows customers to choose carpet style and color, select the finish. A room visualizer let’s you envision what the rug will actually look like.